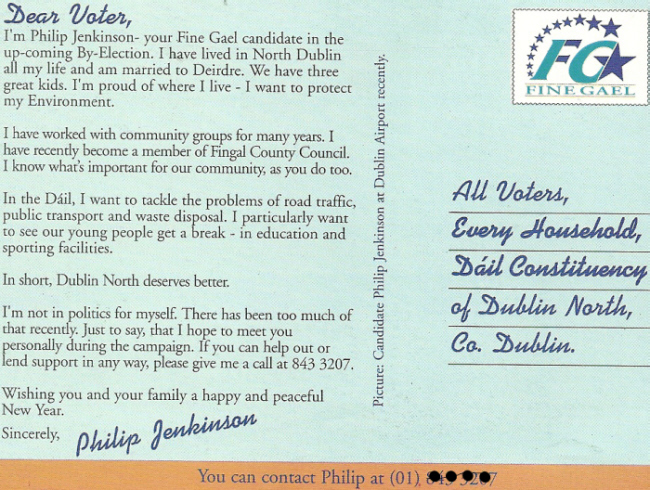 From the 1998 Dublin North By-Election, a flyer for the Fine Gael Candidate Philip Jenkinson. 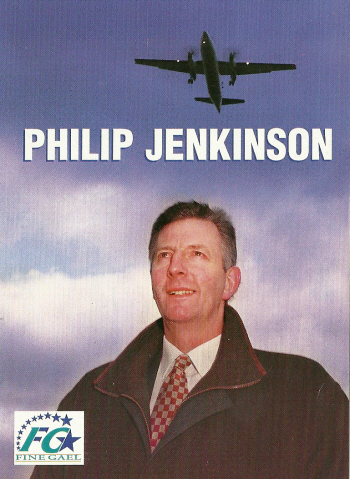 He polled 3,185 votes in a contest won by Labours Sean Ryan. The By-Election was caused by the resignation of Fianna Fail Ray Burke from allegations of Corruption.